When it comes to a clothing store or a new restaurant, you might be ready to roll the dice on the quality of services on offer and the competence of the facility’s staff. But when your health and overall wellbeing is at stake, nearly no one would want to take chances. 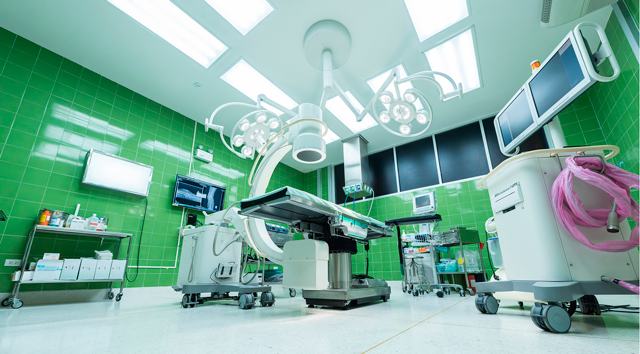 According to Law Offices of Cohen, Placitella, and Roth, medical malpractice lawsuits are complicated, and instead of having to sue a doctor or an entire medical facility, it is better to look for a great healthcare facility. Studies show that medical recklessness and errors are one of the leading causes of death in the United States. Whenever healthcare professionals make mistakes, their patients suffer from surgical errors, infections, and other health-related issues. Therefore, it is advisable for patients to choose reliable healthcare facilities with highly competent staff. Here are the top four warning signs of error-prone medical facilities. Generally, the capacity of any medical facility’s staff is essential to the overall quality of care that patients are likely to receive. Numerous studies show that the best way to determine the capacity of any facility is by assessing the staff-to-patient ratio. A study carried out in 2014 showed that an increase in the medical staff’s workload by just one patient increased the chances of a patient in that facility dying by about 7%. Thus, healthcare facilities should aim at minimizing the nurse-to-patient ratio to offer better healthcare to their patients. However, some medical facility administrators are reluctant to implement these measures as they might not be cost-effective. This is why you should find out about the issue of understaffing when looking for a good medical facility. Doctors, nursing professionals, receptionists, and even orderlies should communicate effectively with one another. They should use a well-established communication system to keep their patients’ information accessible, organized, and secure to those authorized individuals only. Improper communication might lead to disastrous events such as prescribing the wrong medication to the patient or even performing major surgery on the wrong patient. Cleanliness is important for high-quality healthcare. If a medical facility looks dirty and probably appears to be in despair, it might be a big warning sign for every patient. Even if the doctors, nurses, and other staff members are attentive and highly skilled, the grime and dirt might increase the risk of fatal infection. If you ever sought healthcare services and suffered injuries because of the doctor’s or nurse’s negligence, the law allows you to file a medical negligence or malpractice lawsuit. Contact a reliable attorney for legal guidance.